The Cary Company offers a wide variety of supplies to meet all of your shipping needs. No matter what you’re shipping or where it’s going, we’ve got you covered. 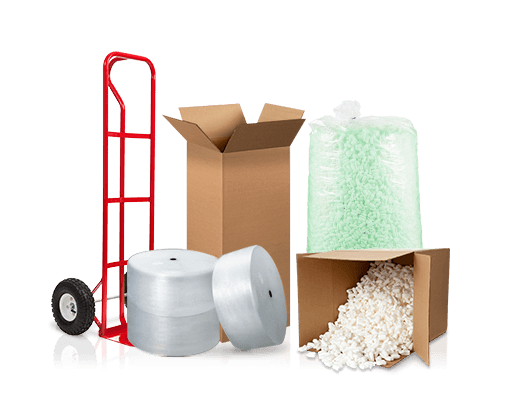 Our wide variety of shipping supplies includes corrugated boxes and mailers, heavy-duty and multi-depth boxes, HazMat boxes, shipping containers, packaging systems, cartons, Pallet Wrapz, stretch film, air cushion and bubble film, bubble and foam wrap, loose fill and peanuts, and sheets and layer pads. For additional Boxes and Supplies, please visit www.carycartons.com. Product Sourcing - Can't find the right size or type of shipping supply? We can help! The Cary Product Sourcing Team will work with you to find the best solution available. -- Call 630.629.6600!